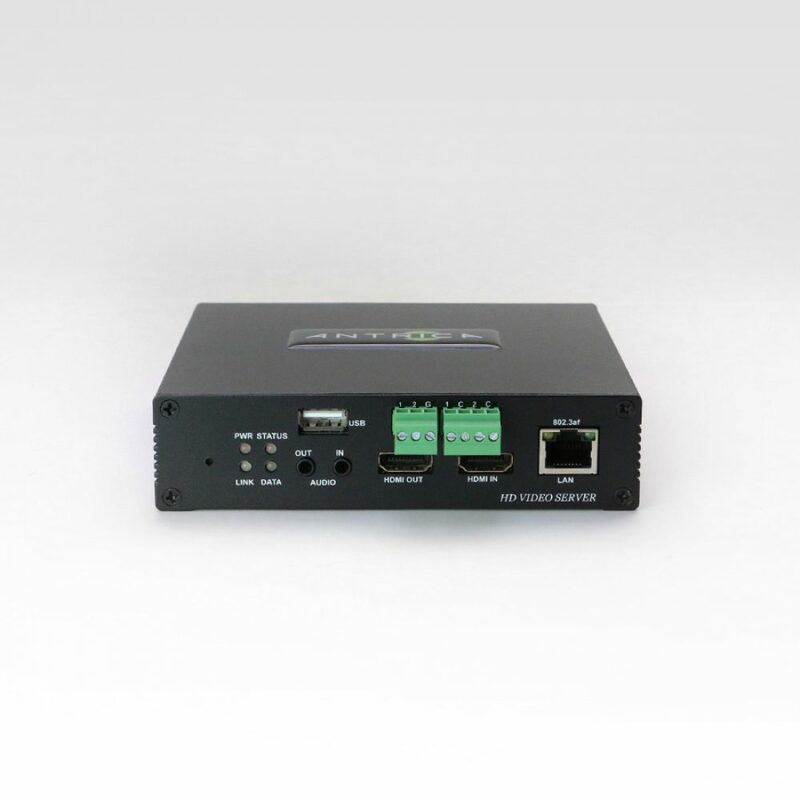 Our Flagship Encoder, the ANT-35000A HDMI, HD-SDI & Composite Input ONVIF H.264 HD Video Encoder is the optimum choice for all your encoding needs. 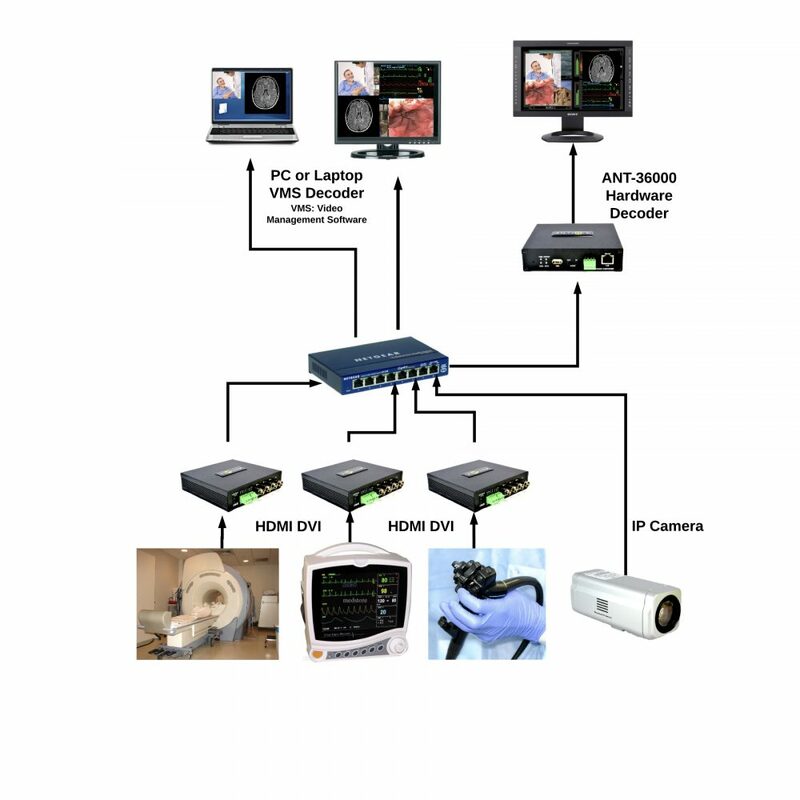 With a maximum of 1920 x 1200 encoding speed at 60 frames per second, the ANT-35000A also supports 2048×2048 P30 encoding and quad streaming using an IP LAN connection. 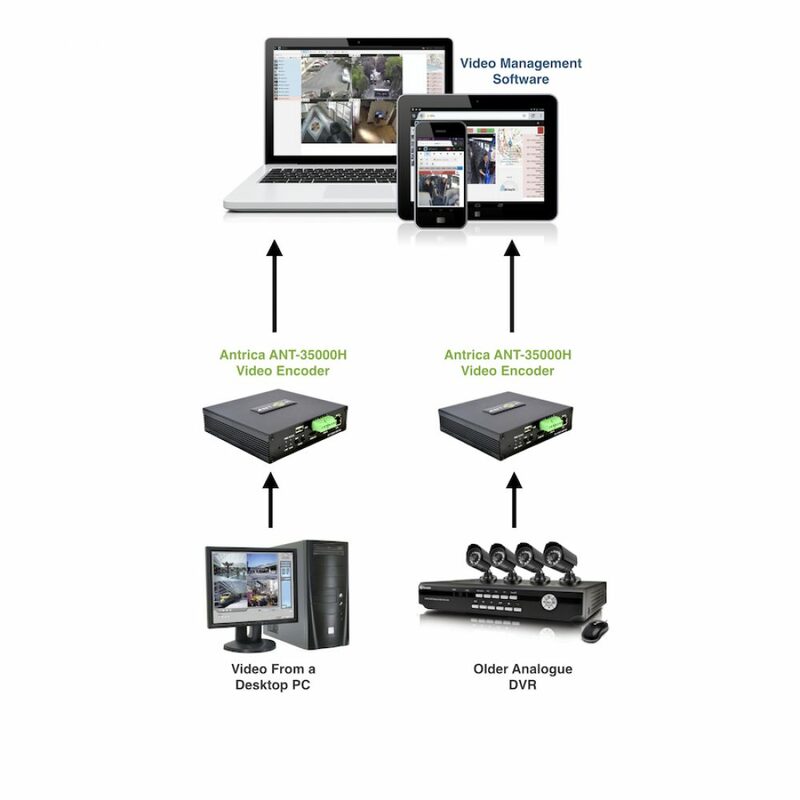 Thanks to the full ONVIF Profile S control, the ANT-35000A can be fully integrated with Video Management Software including Milestone, Exac and Surveillance Centre. 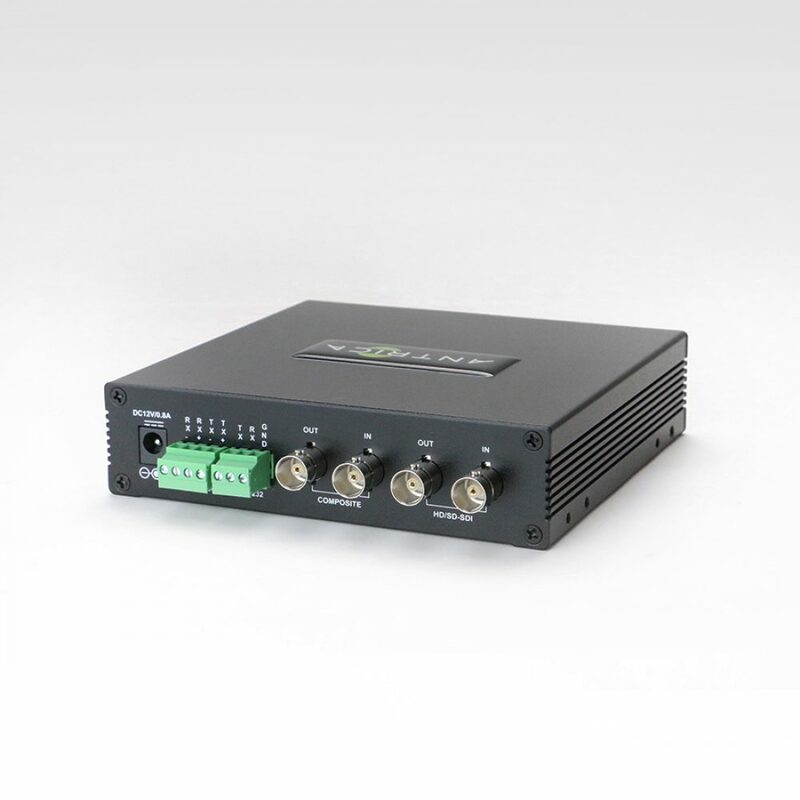 The included inputs and outputs allow for signal bypassing and looping to ensure that no stream is disrupted due to unnecessary firewalls. Supporting streaming formats such as RTSP, MPEG-TS, RTP, RTMP over TCP and UDP, the ANT-35000A is a versatile and practical solution for all your encoding and decoding solutions. This encoder is powered via 12 volt battery, or Power over Ethernet and has built-in recording via USB for round-the-clock control and monitoring. Additional features include I/O alarm, motion sensing and detection. Advanced Audio Coding and G711 two-way audio. Internal embedded audio is available in HD-SDI, HDMI and analogue formats. Also included is RS232/485/422 two-way serial data transmission. Set-up and installation is easy, and the ANT-35000A can be paired with the 1U Rack Mount to support up to three encoders. Antrica work in partnership with Anixter, a global leading supplier for Electronics and Security equipment for distribution in the United States. With both companies placing pride in their product standard and quality of service, they are the perfect choice to spread the Antrica message across all major cities and locations in the United States, including New York, Washington DC, Houston, California, Los Angeles, Austin and beyond. Please contact Antrica for more information.